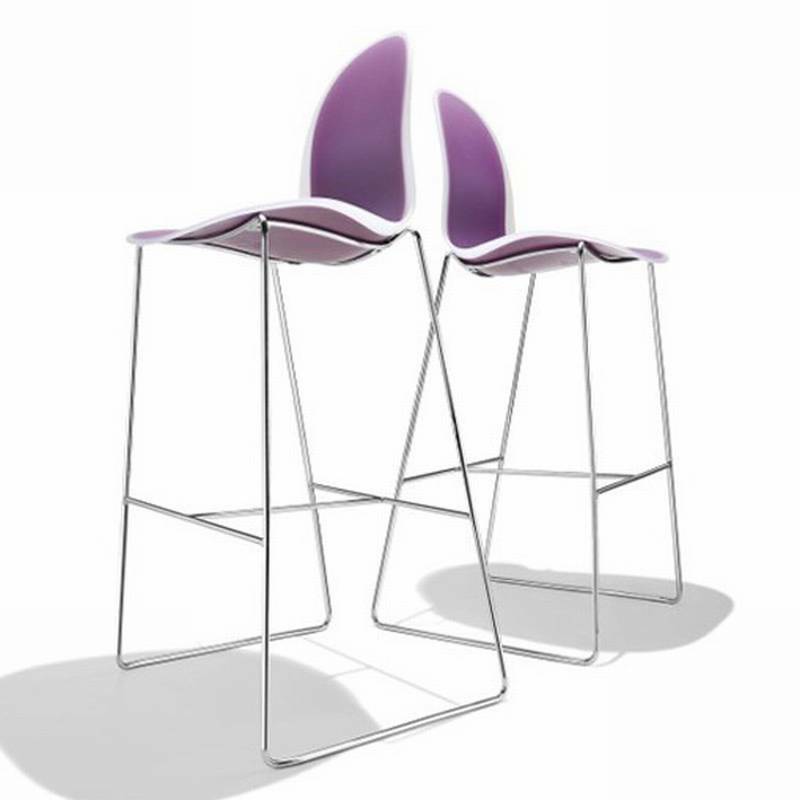 Description A bar stool with a strong personailty and a fluid feeling. The seat is moulded polypropylene in a range of colours with a frosted translucent edge, thanks to an innovative new production technique. Steel tube legs with a chrome finish or lacquered to match the seat (see image opposite for full range of colours). Available in 2 heights.